Downloads will be 128 kbps or 192 kbps Windows Media Audio files with DRM encryption. You will need Windows Media Player 9 to play these files. At this time, Apple/Macintosh computers and iPods are not compatible. Once you download a file, you must be connected to the Internet on the first play. You can transfer these tracks to CD five times, back them up on two other computers, and put them on portable listening devices as many times as you'd like. Once the APDs are ready, an easy-to-understand set of instructions will walk you through the purchase process. 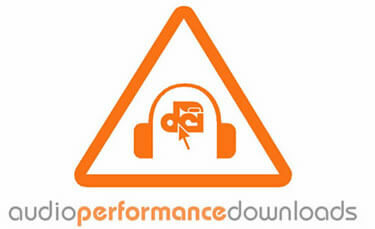 Fifty percent of the proceeds for audio performance downloads (APDs) for Division I corps goes directly to the corps whose performance is downloaded. For Division II & III corps, their 50 percent goes into the 2004 pool fund to be distributed to Division II & III corps at the end of the season. The other fifty percent of all APDs goes toward the cost of recording and licensing with any remainder going toward the general operating fund of Drum Corps International.